It doesn’t take a college student to tell you that university life is brimming with extra-curricular activities. From fraternities and sororities to intramural sports and charitable clubs, student organizations are essential to the lifeblood of the college experience. 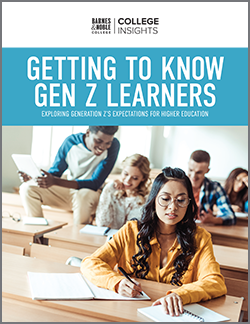 Creating that strong sense of identity for campus groups and clubs has always been an important part of college life, and now there’s a way to make that happen – with just a few easy clicks. 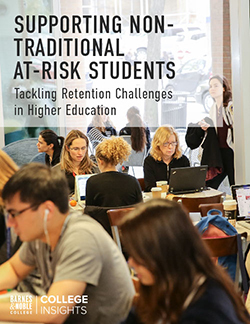 Promoversity is an innovative new program offered by Barnes & Noble College to help student organizations and groups establish and promote their individual campus identities. 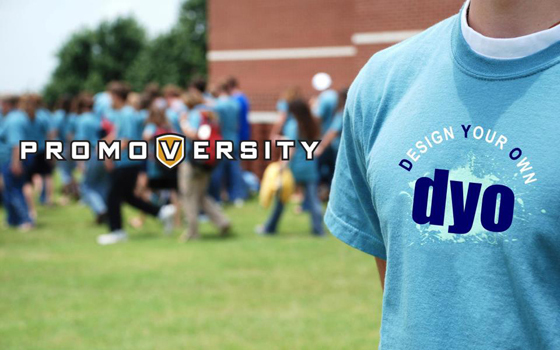 Through Promoversity, a vendor with over 50 years experience providing promotional items to schools, customers can access an online ordering system to fully customize a wide range of apparel, branded goods, and other items from a variety of approved graphics and college colors. “College groups don’t typically have access to a lot of resources, and the great advantage of Promoversity is the flexibility it provides,” explains Patrick Gross, Barnes & Noble College Director of Merchandise, Soft Goods. “By offering high quality merchandise at a low cost and without the typical requirement of ordering large quantities, Promoversity can really help smaller groups with their promotional needs,” he adds. 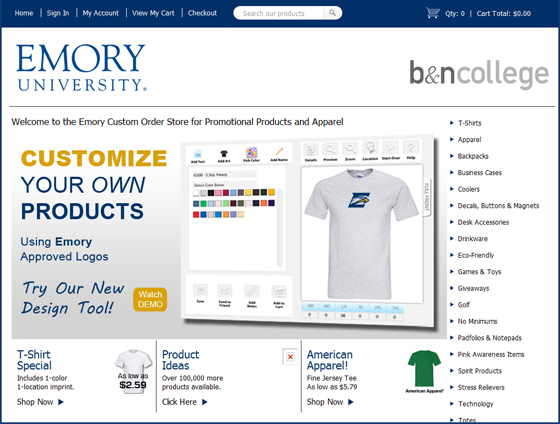 Ordering custom apparel, branded goods and other items for school groups and clubs is easy. Simply visit your Barnes & Noble College Bookstore website and click on the Promoversity icon. Powering the idea of the custom-printed T-shirt shop firmly into the twenty-first century, ordering from the Promoversity online store is easy and convenient, and provides access to a wide choice of over 100,000 products. The website also enables orders to be customized directly from the screen to make it even easier for customers to help celebrate their on-campus organizations, academic departments and special events. 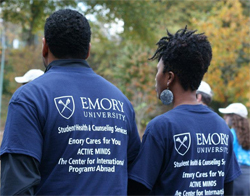 T-shirts created for Emory University group ‘Emory Cares for You’ using Promoversity. The new Promoversity program also has significant benefits for the university. A portion of all purchases made through the Promoversity website is commissionable back to the university. Colleges also have the ability to maintain control of their institutional brand, and users can only select from a range of officially sanctioned images to ensure uniformity across all applications of the logo. But most important, customers can buy with the assurance that all products ordered through this program adhere to fair labor standards and no child labor. Promoversity and Barnes & Noble College are members of the Fair Labor Association (FLA), and all products sold through the program currently meet FLA’s Code of Conduct, which requires strict adherence to workers’ rights. “We’re dedicated to not only providing value and enhancing the student experience, but also delivering quality products, ensuring more of the valuable merchandise revenues remains on campus and workers rights are always respected,” Gross points out.